Which is better, over the counter Retinol products or prescription Retinol? It depends. Several factors go into this decision. We’ve tried many prescription and Retinol products at a variety of price points and report on the best features of each so you don’t have to live through Retinol trial and error. To determine the best Retinol product plan for your needs, ask yourself the questions below. Retinol is an absolute game-changer for many skin conditions ranging from acne to sun damage, scarring, discoloration, as well as wrinkles. Retinol, which in prescription form goes by the name Retin-A, comes in cream and gel forms. In the way, way back, Retinol was only available by prescription for severe acne, and in its’ original form, it wasn’t a pretty process. People tolerated the peeling, itching, irritation, drying and redness for months, waiting for acne-free skin to emerge. And eventually, it did. Meanwhile, many people noticed scars, wrinkles and age spots also disappeared. 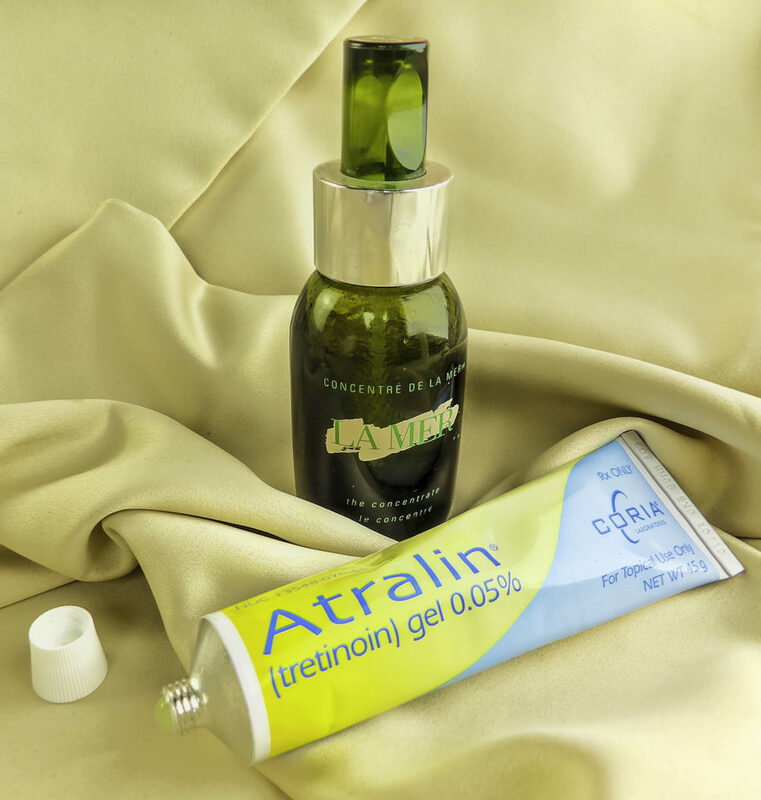 People wanted Retinol for anti-aging, not just acne. Now Retinol is readily available, so available that it’s difficult to know what to seek in a Retinol product. Key areas to examine are cost, the percentage of Retinol, ability to tolerate the product and its’ active ingredients, buffering capabilities and ease of use. Prescription Retinol brand name and generics are expensive, often $100-150 a tube. 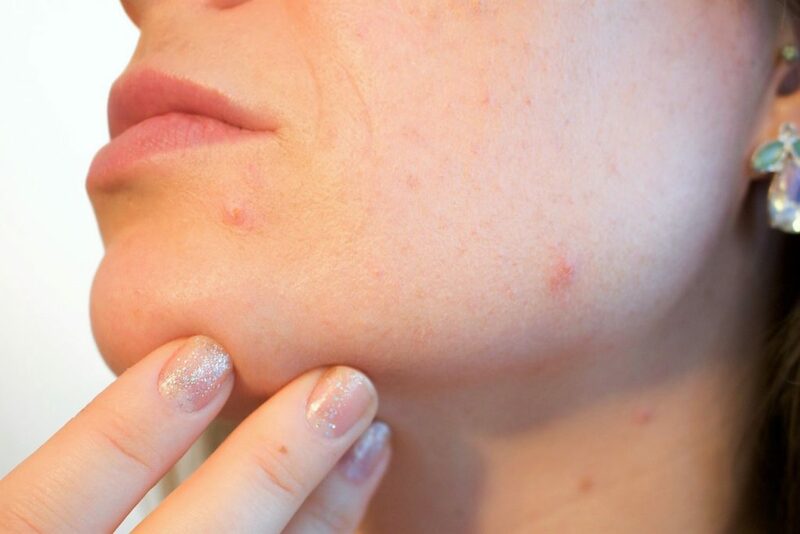 Insurance may cover this if you are under 35, but often only for the treatment of acne when prescribed by a dermatologist. If your insurance plan covers Retinol for free or the cost of a co-pay, this could be less expensive than purchasing an over the counter Retinol product. Prescription Retinols can cost as much as luxury skincare products and often require powerful moisturizers to buffer its’ irritating effects. HOW MUCH RETINOL IS IN THE PRODUCT? When purchasing a retinol, a good place to start is 2.5% retinol within the product. More than that can be too irritating without much extra benefit, less than that won’t accomplish much. 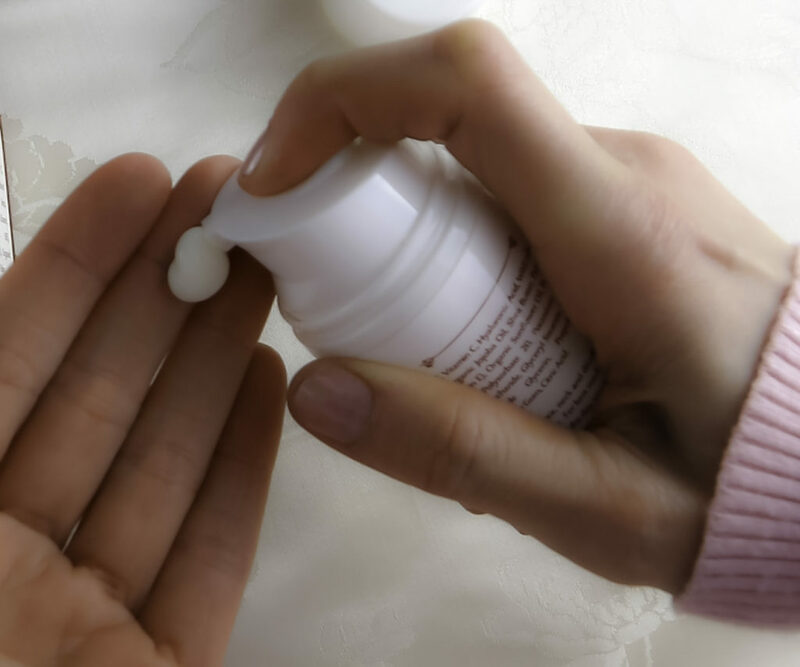 Many drugstore creams and lotions contain some retinol, but not as much as 2.5%. Some doctors only prescribe Retinol in very low doses, which won’t provide much of a beauty boost. 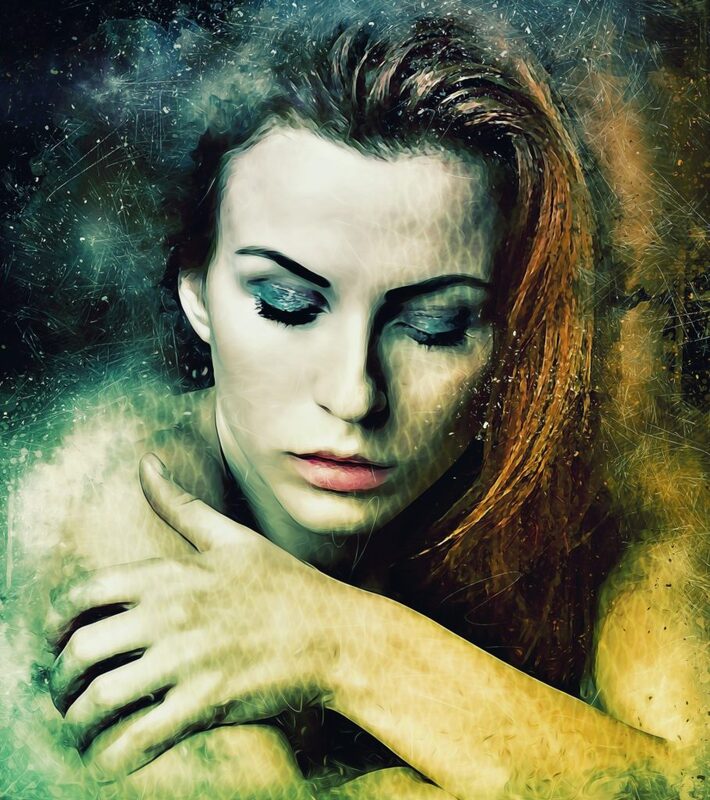 Some prescriptions are too much at 5%, which can irritate all but the hardiest of skin. Prescriptions above the 2.5% range best serve those with severe acne, not those with wrinkles or photodamaged skin. WHAT ARE THE OTHER ACTIVE INGREDIENTS & DO THEY HELP OR IRRITATE MY SKIN? Retinol does a great deal for skin, but it can also give a pretty nasty accidentally self-imposed chemical peel, and the results are not pretty. It’s easy to give oneself an accidental Retinol chemical peel, because skin starts looking so good, that it is tempting to apply just a bit more. This works for a few days or weeks, until suddenly it doesn’t, and your face goes from looking dewy and younger to looking like a bad, bad, bad sunburn. Even if you only use the prescribed amount of Retinol, skin becomes more sensitive to Retinol after about two weeks. The reason is now the old, dead skin layer is sloughed off, but the new skin is more delicate. Yet the same amount of Retinol is being applied to the skin, and that new skin isn’t ready to exfoliate yet. So instead, it becomes red and irritated. Some prescription Retinols come with a creamy base, such as Renova. This creamy base makes the skin surface seem flake-free and dewy, but underneath Retinol is still Retinol, and the skin can suddenly appear red and chapped. The key to avoiding burning yourself with Retinols, prescription or over the counter, is buffering. To buffer either apply moisturizer first (if you’re very sensitive) or after applying Retinol, and don’t skimp. Buffering allows for the maximum frequency of Retinol use per week. If you still can’t tolerate the peeling and dry skin, apply Retinol for twenty minutes to an hour, then wash it off before bed. This way you at least get some Retinol benefits. But ideally, your Retinol product comes with built-in buffering moisturizers. 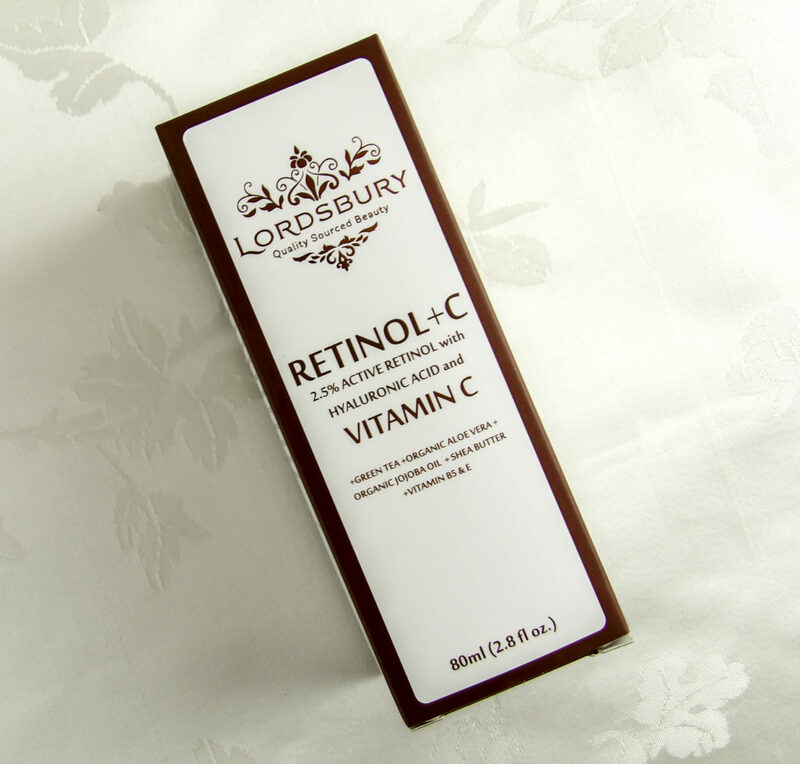 We like Lordsbury Retinol+C Cream Moisturizer because it is SO emollient without being greasy. In fact, it’s gentle enough to use twice a day every day without redness, irritation or dry, flaky peeling. You won’t have to take days off Retinol use due to over-doing it, but it still packs a powerful 2.5% Pure Retinol. 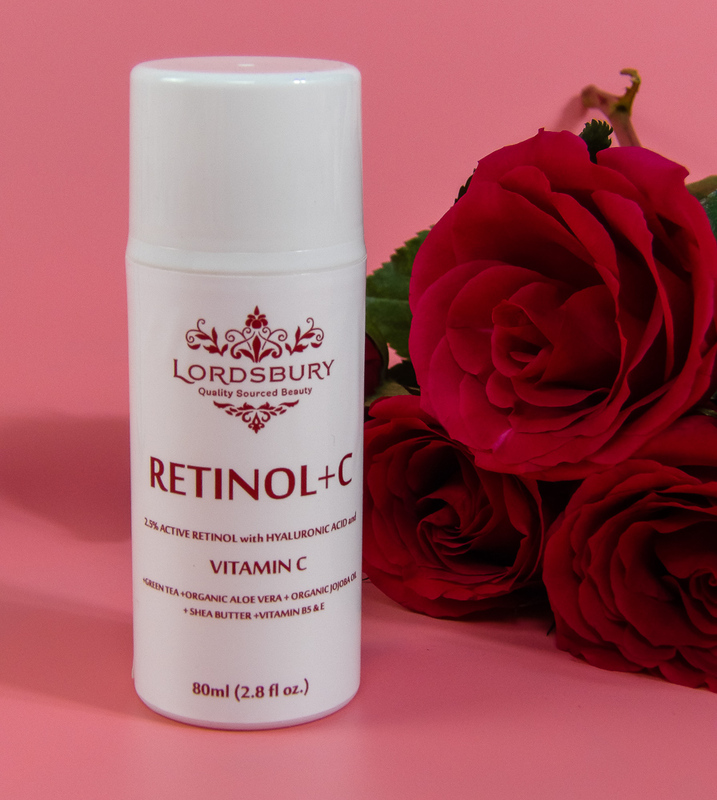 Even if your insurance covers Retinol, the added ingredients in Lordsbury Retinol+C Cream Moisturizer make it an all-in-one product: Retinol plus Vitamin C serum plus moisturizing buffer cream in one easy to apply bottle. No need to wait for the Retinol to dry down before applying moisturizer in the morning or being left sticky by a Vitamin C serum. A product that has everything in one makes skincare much easier. 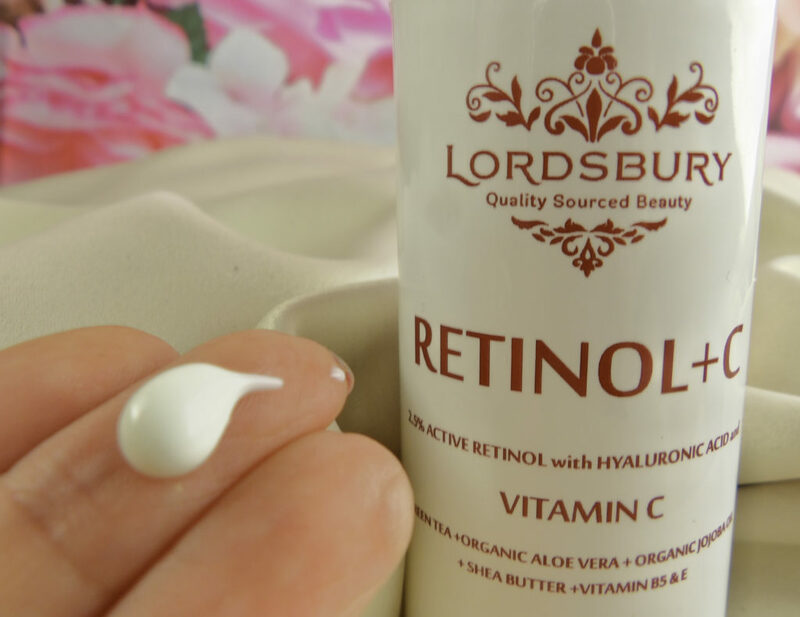 Lordsbury Retinol+C Cream Moisturizer combines the power of a prescription 2.5% pure Retinol with Vitamin C, Hyaluronic Acid, and several natural moisturizing agents that make it gentle enough to use twice a day with no irritation, peeling or redness. The Aloe Vera, Jojoba, Green Tea and Shea Butter nourish the skin while buffering. It dries down without being sticky, greasy or leaving a film-like residue, make-up and sunscreen can go directly over the cream. 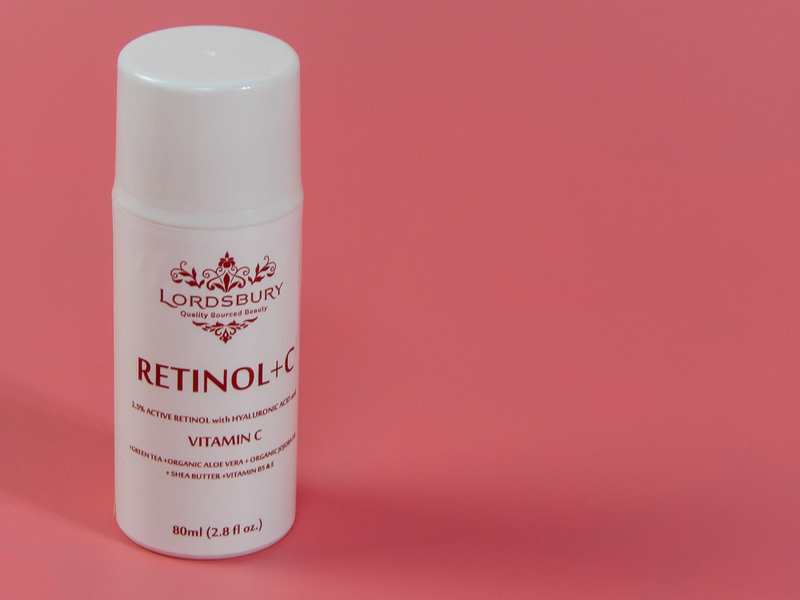 Lordsbury Retinol+C Cream Moisturizer also comes at an outstanding price point in a generous 2.8-ounce pump bottle. We’ve all heard it: Retinol is a miracle worker of anti-aging, and we see it on the ingredient list in products ranging from cheap drugstore brands to luxury spa products to mass-market chains, dermatologists offices, and all the way to the cosmetic counters at Barneys, Neiman Marcus and Bergdorfs. What accounts for the differences in efficacy and price? Two factors: the strength of the Retinol and the products other supporting ingredients such as Vitamin C, Hyaluronic Acid, or Jojoba. These Most Valuable Players of skincare are the real test of how well any given Retinol will work for you and if it is worth its’ price. Let’s take a closer look at some of the ingredients you do – and don’t – want to see on a Retinol’s ingredient label. Let’s cut to the chase: Is there a Retinol that combines ALL of the good Retinol ingredient pairings? Yes. 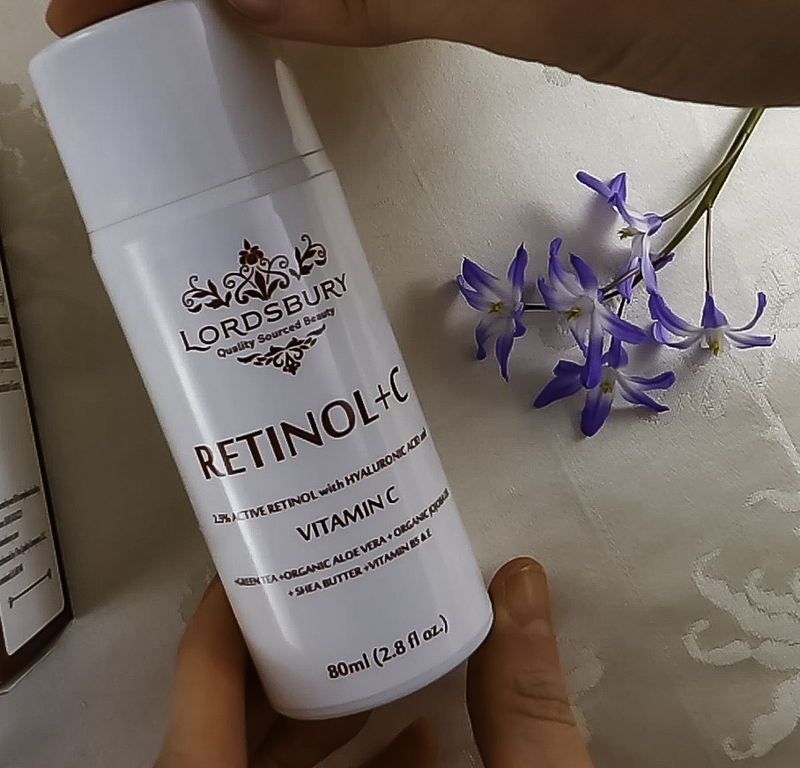 For an all-in-one Retinol product, we find Lordsbury Retinol+C Cream Moisturizer to be a highly effective combination of ingredients to best support the many skincare benefits of a good Retinol. 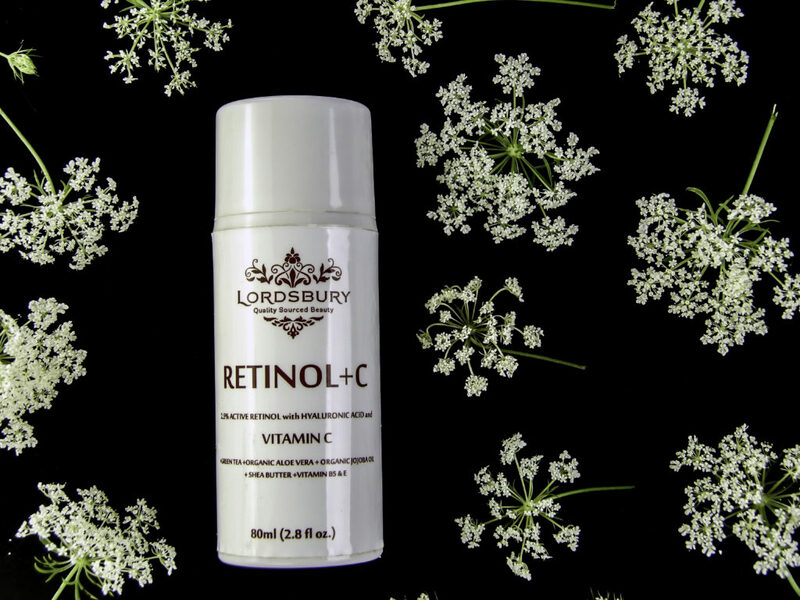 It combines a prescription strength 2.5% Retinol with 20% Vitamin C Serum, Hyaluronic Acid, along with multiple buffering moisturizers including nourishing Jojoba Oil, calming anti-oxidant Wildcrafted Green Tea, calming Aloe Vera, Shea Butter, Cocoa Butter and many more. How does each of these ingredients work in tandem with Retinol to increase its’ overall efficacy? Here are some details about these key player ingredients. 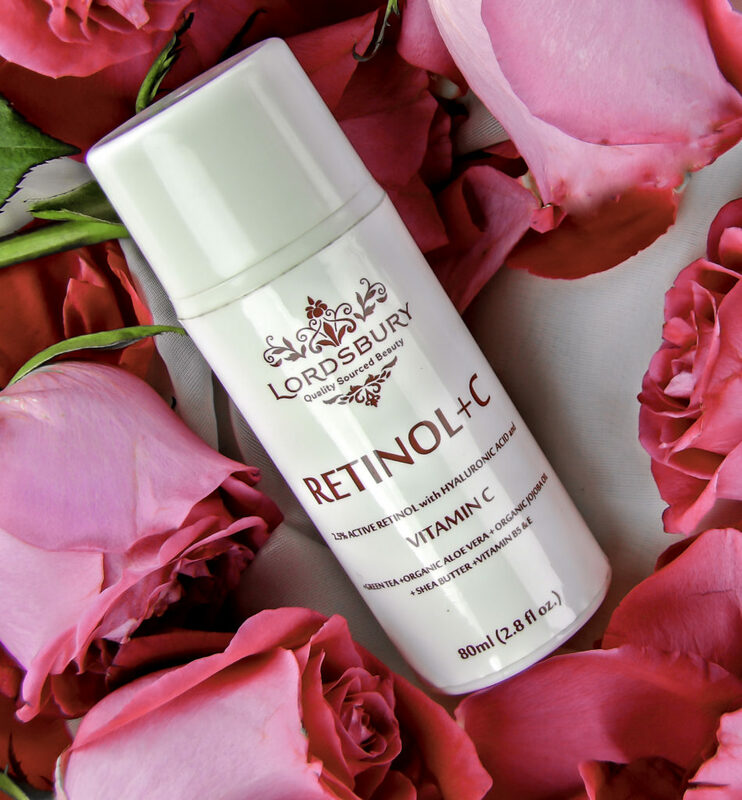 It seems obvious, but there should be a respectable amount of Retinol in your Retinol product. Prescription levels begin at about 2.5% up to 5%, although some prescriptions are low as 1%. About 2% and up is needed for a Retinol to be effective, but not all Retinol products contain very much Retinol. 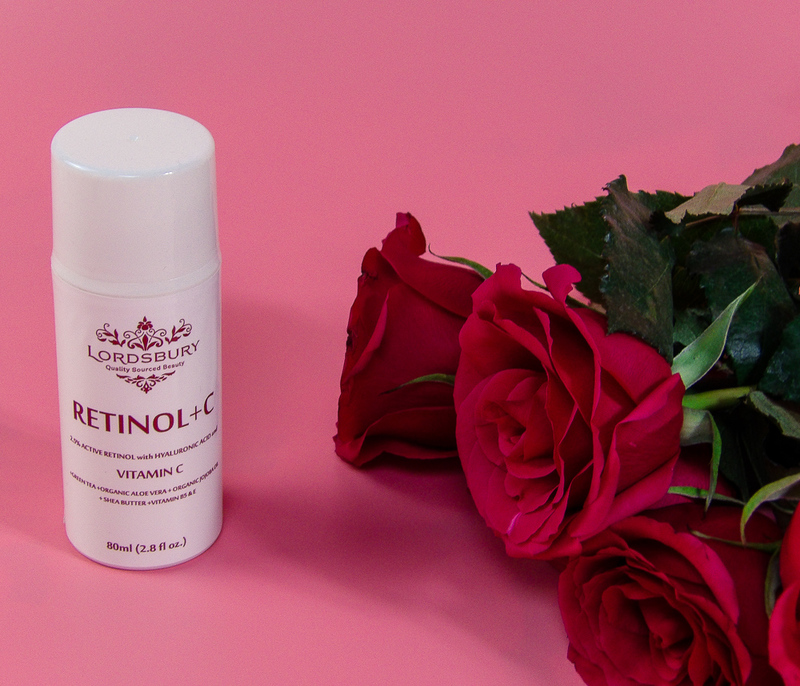 Vitamin C Serum is Retinol’s BFF, a partner in crime, and all around pal. 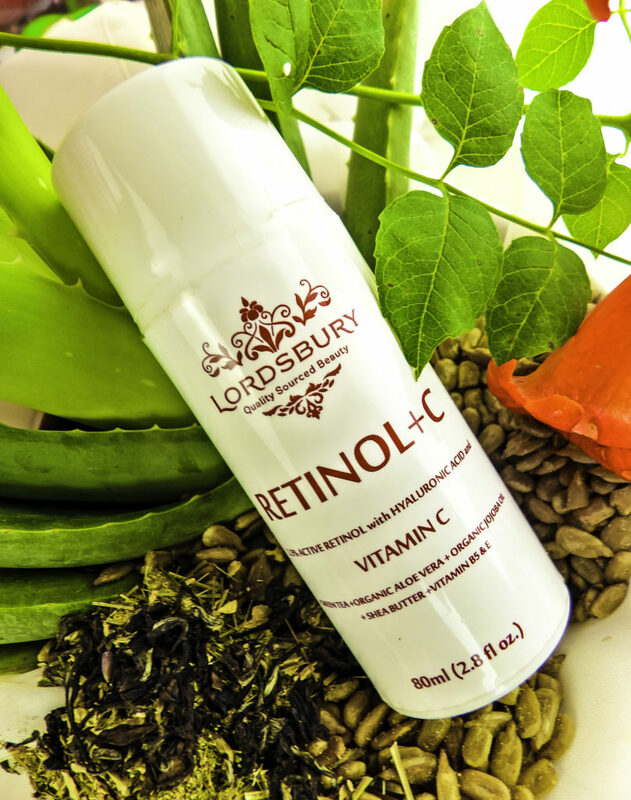 Vitamin C works in tandem with Retinol to accomplish the same thing but in different ways. 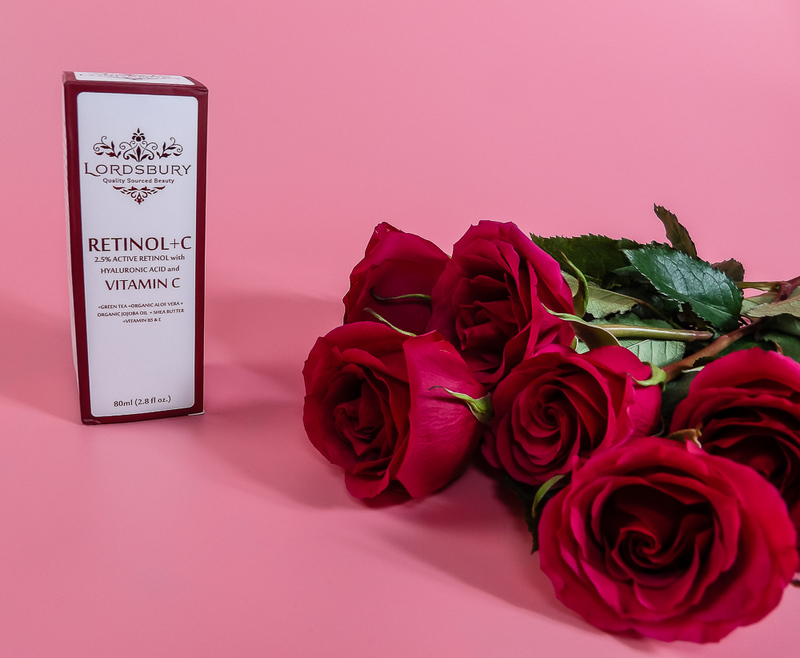 For example, where Retinol refines surface skin texture, Vitamin C builds collagen to strengthen and support the skin so it is as strong as it looks. Retinol fights acne by cleaning out pores and eradicating bacteria-trapping dead skin, Vitamin C reduces acne inflammation and fades post-pimple scarring. 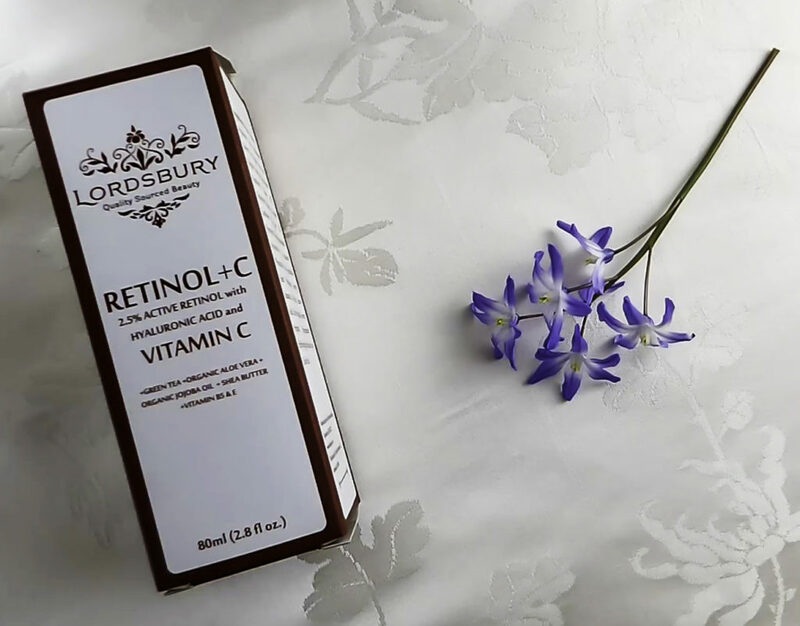 Both Retinol and Vitamin C promote collagen, but each is involved at different stages in the collagen production process. Together, they ensure the maximum amount of collagen is produced. 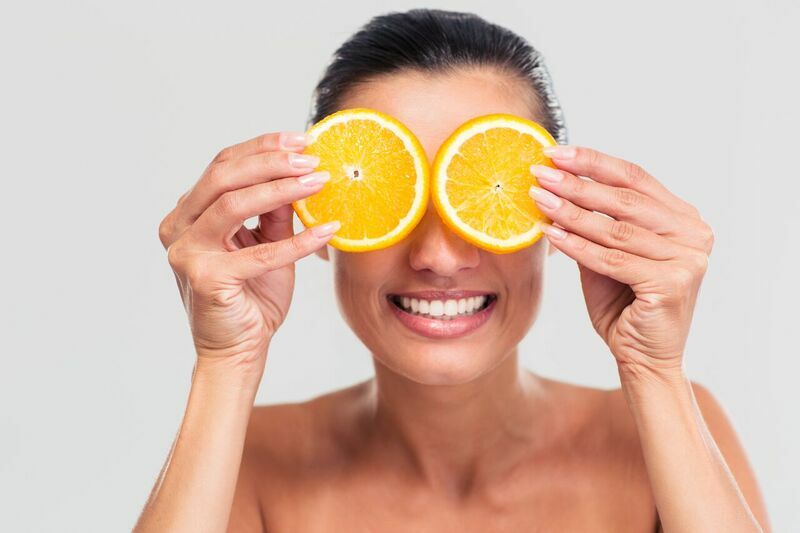 These reasons are why applying Vitamin C and Retinol daily is considered the best anti-aging topical program. If you have old acne scars or sun damage and had to pick only one other ingredient for an active ingredient product with Retinol, it would likely be Hyaluronic Acid. Hyaluronic Acid is like your friend with VIP access. First, Hyaluronic Acid holds massive amounts of moisture to plump out wrinkles and fine lines while making skin look dewy and young. 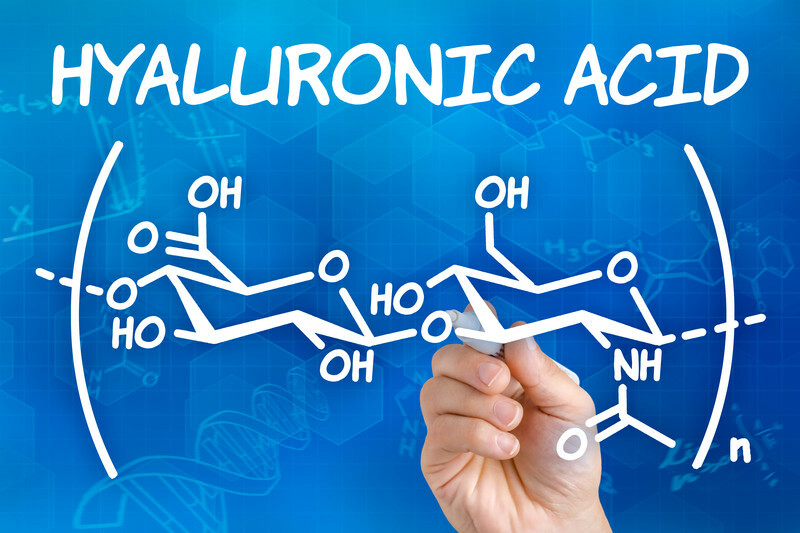 But more importantly, Hyaluronic Acid also can pull active ingredients deeper into the skin, including Retinol. The deeper these ingredients get, the better the supporting collagen structure becomes, and even older and darker scars fade. Many treating active ingredients, including Retinol and Vitamin C, have molecules that are too large to permeate these skin layers, but somehow, Hyaluronic Acid can bind with Retinol and bring the Retinol into deep skin layers it could not access alone. What does all this mean? If you have deep scars, wrinkles, discoloration, sun damage, sagging, or stubborn cystic acne, a Retinol product containing Hyaluronic Acid can assist Retinol to treat those deep skin level problems. When Hyaluronic Acid helps Retinol sink into the deeper skin layers, it helps eradicate uneven skin texture and tone, including sun damage and deep scars. For all that Retinol can do, it can also give a pretty nasty accidentally, haphazard self-imposed chemical peel, and the results are not pretty. It’s easy to give oneself an accidental Retinol chemical peel, because skin starts looking so good, that one might feel applying “more is better”, which works for a few days, until suddenly it doesn’t, and your face goes from looking dewy and younger to looking like a bad sunburn. Even if you follow the directions and only use the prescribed amount of Retinol, skin becomes more sensitive to Retinol after about two weeks, because the old skin is sloughed off, and the new skin is more delicate, yet the same level of Retinol is being applied to skin that isn’t ready to exfoliate yet. This leads to redness and irritation. But ideally, your Retinol product comes with built-in buffering moisturizers. 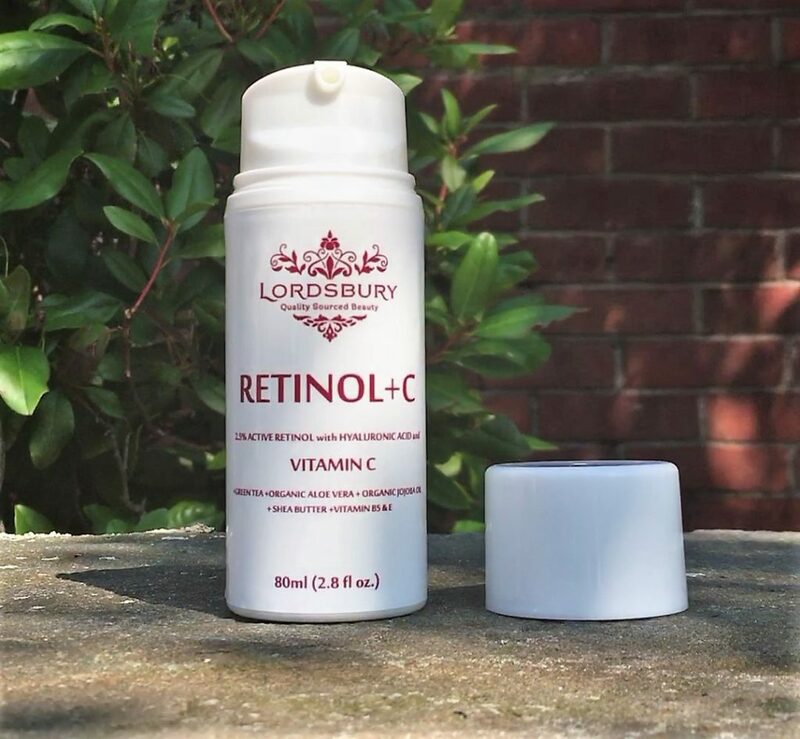 We like Lordsbury Retinol+C Cream Moisturizer because it is SO emollient without being greasy. In fact, it’s gentle enough to use twice a day without redness, irritation or dry, flaky peeling. Aloe Vera is best known for burn treatment on the skin, but it is highly nutritious to skin with numerous vitamins that the skin can use topically to enhance cell turnover and repair skin cells. Shea Butter can be tricky in some products, as inorganic Shea Butters can tend to make skin breakout. Because of this, you may have had a bad experience with Shea, which is unfortunate since it can both feed the skin and overhaul the skin texture, even on deep burns. 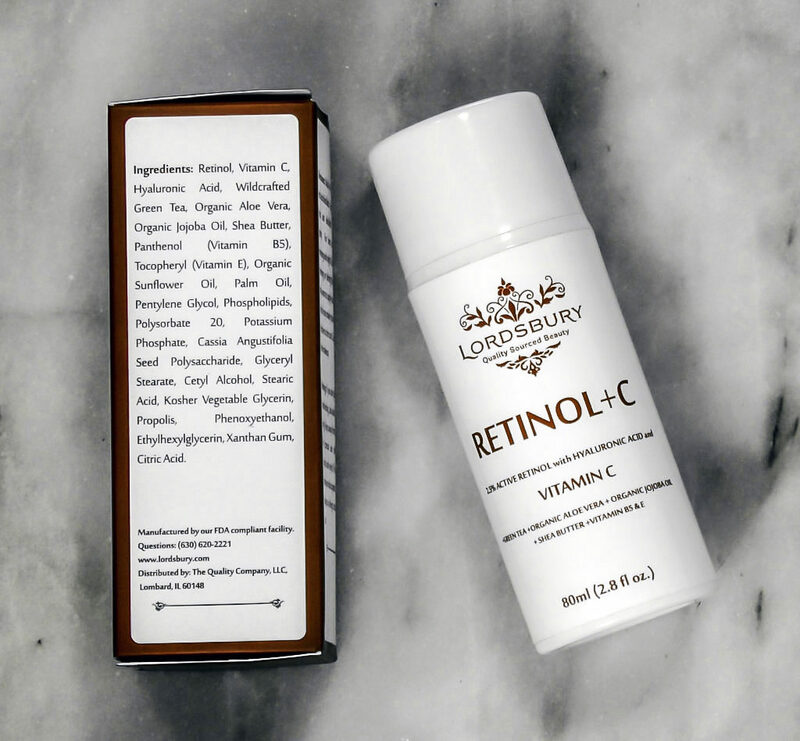 If you’re going to apply a product with Retinol, make sure the Shea Butter is organic, such as is found in Lordsbury Retinol+C Cream Moisturizer. Cocoa Butter has long been used for stretch marks because it helps skin remain resilient and elastic. Retinol is also excellent for stretch marks, whether they are in the new “red” stage or older “white” stage. If you’re interested in Retinol for stretch mark repair, Cocoa Butter is an excellent pairing. Vitamin B5 helps soothe and regenerate skin. Vitamin E softens rough skin patches including scars. Retinol refines the texture and fades scarring, while Vitamin E makes the skin more pliable. Organic Sunflower Oil softens the skin and is an excellent carrier oil. It works well with Retinol because it is so hydrating to the skin and can calm red, irritated skin when other products cannot be tolerated. Propolis is a bee product, it fights infections and heals wounds. It allows for an aggressive Retinol and Vitamin C cell renewal program without skin becoming too red, irritated, flaky or raw. Some Retinol programs leave skin dry and peeling; the Propolis helps keep skin at its’ best. If you are allergic to bee products, take note. 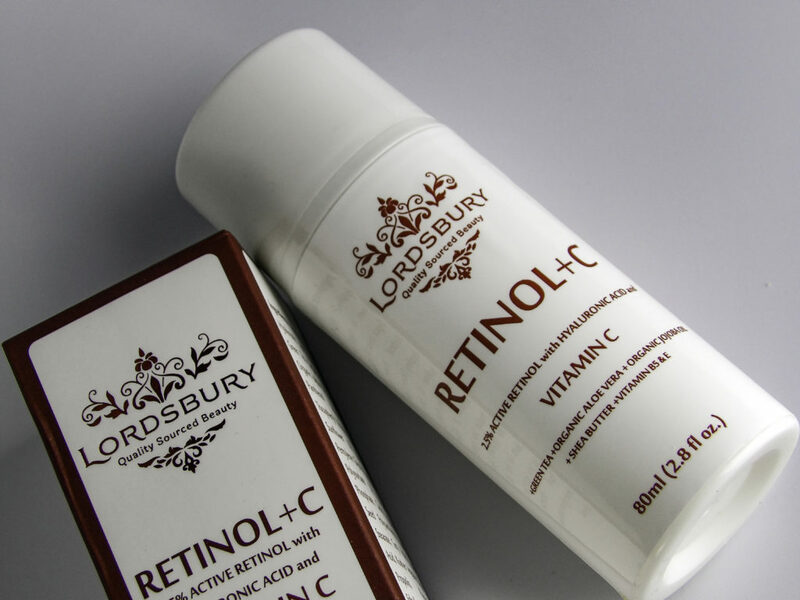 With a line up of moisturizing buffering ingredients like that, you can see why we use Lordsbury Retinol+C Cream Moisturizer. It is gentle enough to use twice a day without any irritation, even on delicate skin. That is an impressive amount of moisturizing ingredients! There you have it, some of our favorite ingredients for boosting the efficacy of a Retinol product. 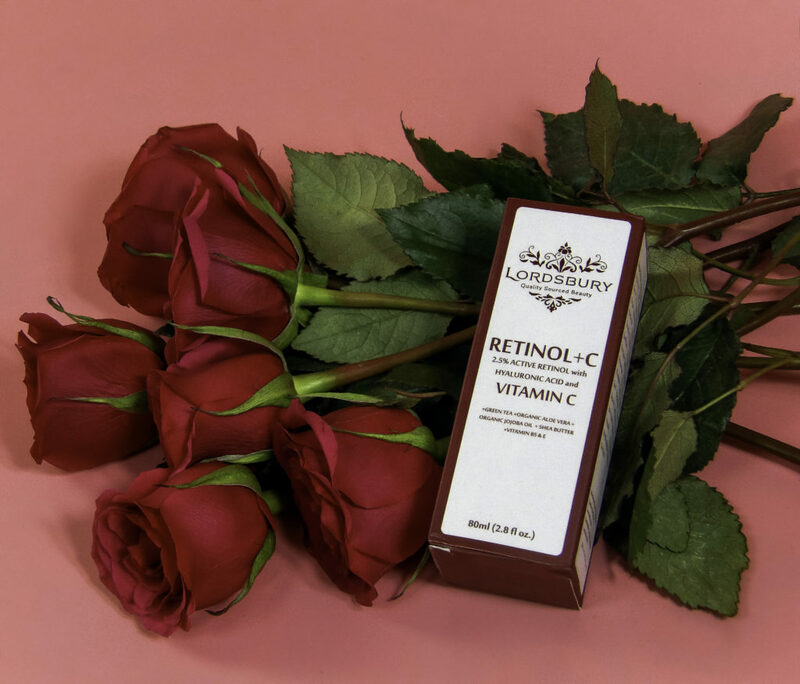 Pairing Vitamin C helps Retinol do its’ job best, Hyaluronic helps Retinol reach the deeper skin layers to fight sagging, build collagen, and fade deeper scars. Moisturizing ingredients that do not cause breakouts are vital to tolerate any Retinol program. 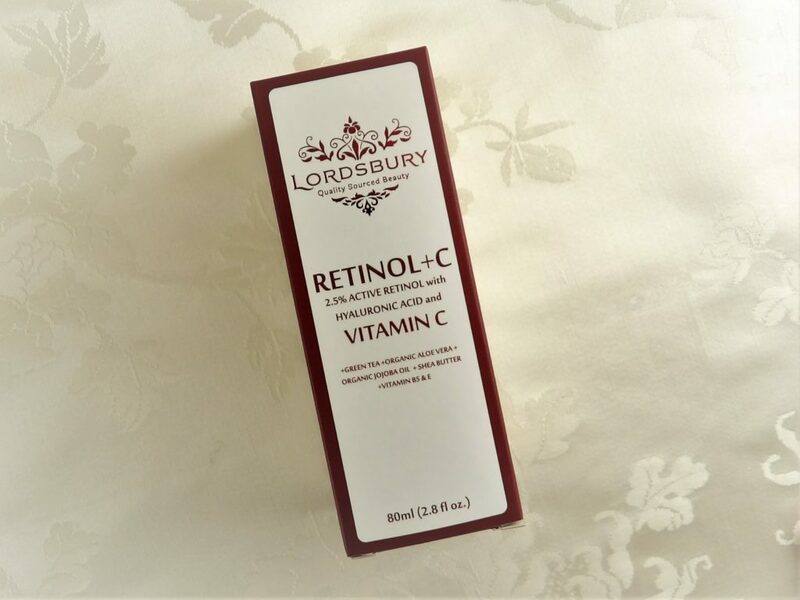 The long list of high-quality moisturizing agents in Lordsbury Retinol+C Cream Moisturizer, paired with prescription strength Retinol and 20% Vitamin C makes it an ideal all-in-one product for your Retinol needs.